I've always been crazy for vintage clothing and jewelry from an era past. It might come from years of fiddling with and adoring my mom and grandmother's old coats and jewelry. Some of those pieces are mine today - waiting to be handed down at the appropriate time to my nieces. Unfortunately, I don't wear these gems often. 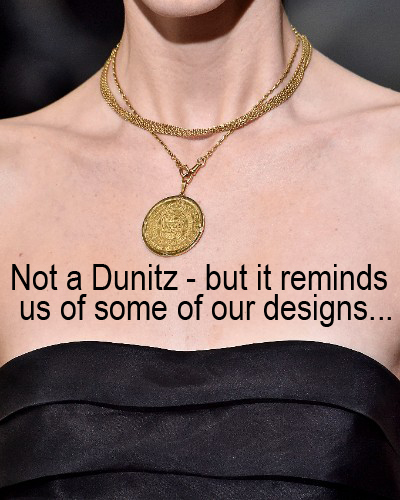 I figure while I'm busily sustaining our fair trade jewelry business, I must wear Dunitz & Company baubles. It's for this reason when Accessories Magazine announced that they want to promote heirloom and vintage looks for an upcoming trend report, I was reminded how Dunitz & Company has often incorporated such doodads into many of our our looks. 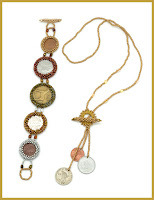 This photo to the right, used as a pitch by Accessories features a stunning necklace with an old coin. It's not our necklace. 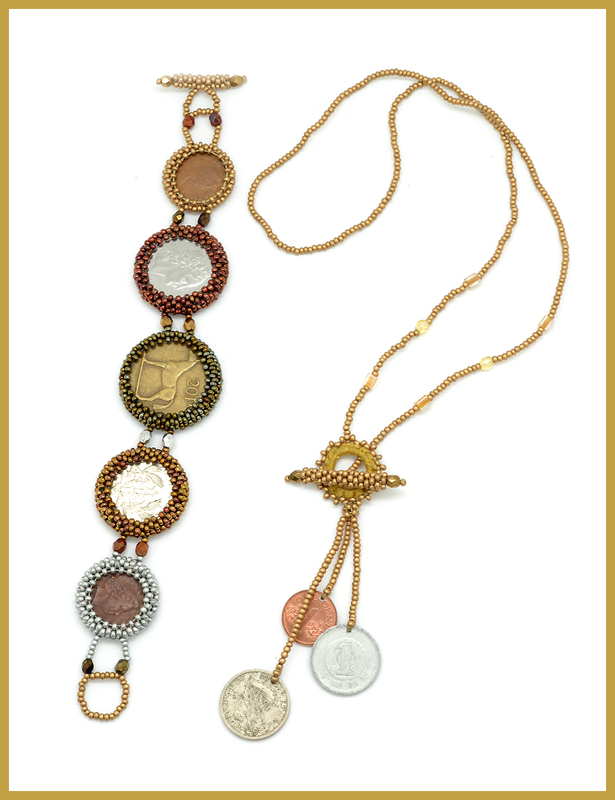 It did however spark me to remind our customers that we use lots of old and collectible tidbits in many of our fair trade vintage jewelry designs. And then it was time for our next brainstorm for expanding our heirloom styles. Steampunk looks were landing on shelves in many hipster stores. The look was not quite my thing. However, I was enamored with some of the components. I found watch part vendors in the US and abroad willing to part with specifically watch faces...watch faces of all sizes. I've had to pay a premium for the faces. And often faces arrive that are unusable driving our costs up. Just the same, they're such cool components we have justified and figured this into our costs. 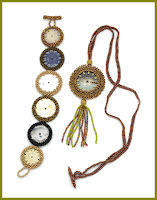 We launched necklaces, bracelets and mis-matched earrings mostly in various earthy tones. 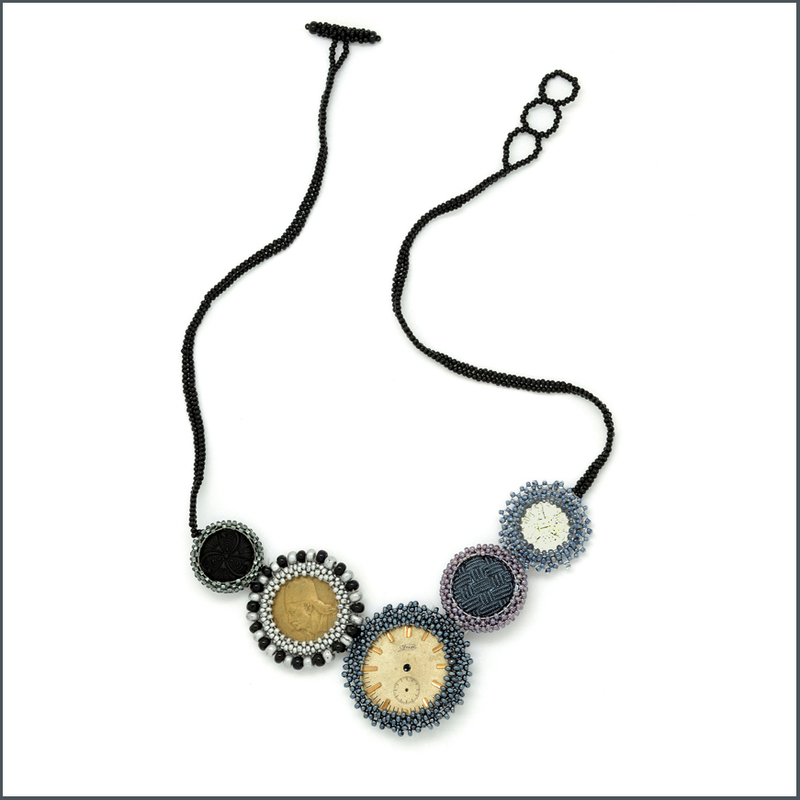 The beauty of these pieces is no two are ever identical. 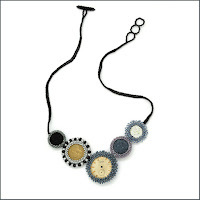 The lucky person who purchases this piece or that piece will never ever find another just the same.